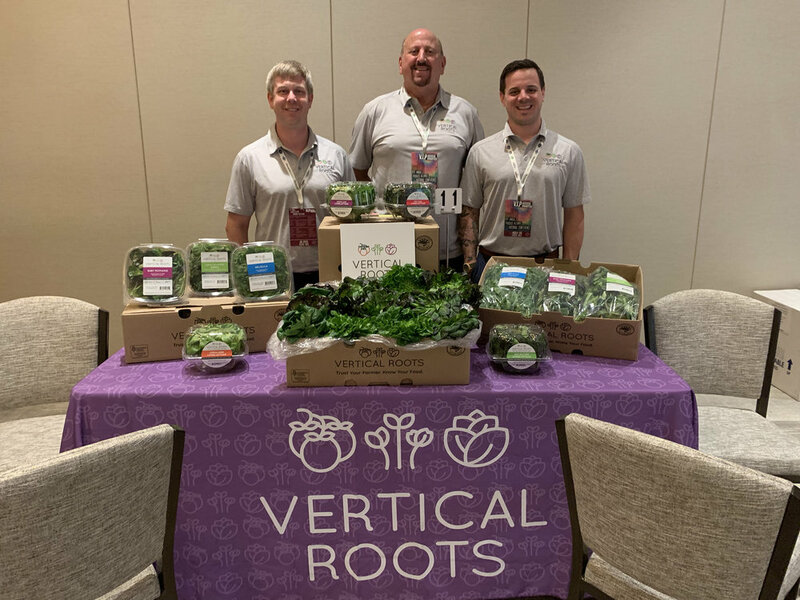 Another year, another spectacular Produce Alliance National Conference under our belt! 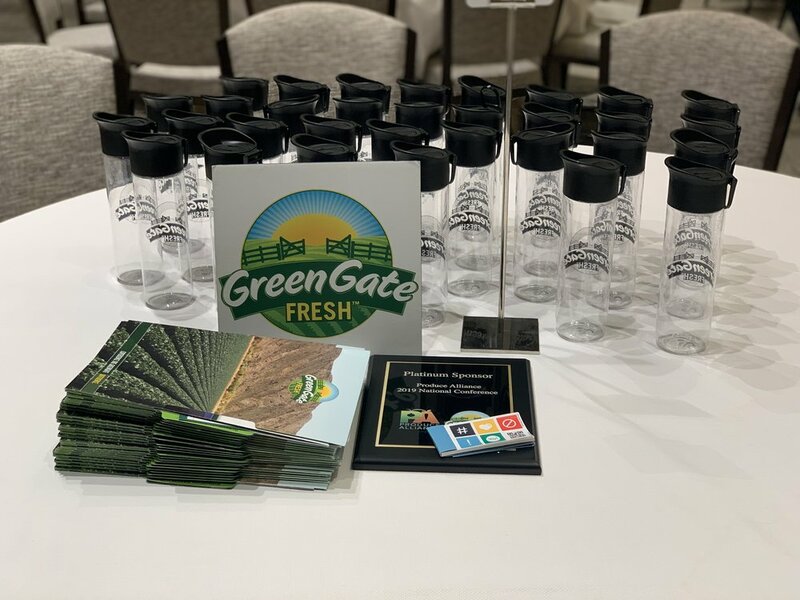 Every year, team members, distributors, and growers of Produce Alliance gather from all over the country for the annual PA National Conference. This gives our PA network the perfect opportunity to celebrate and strengthen the valuable partnerships we've built. 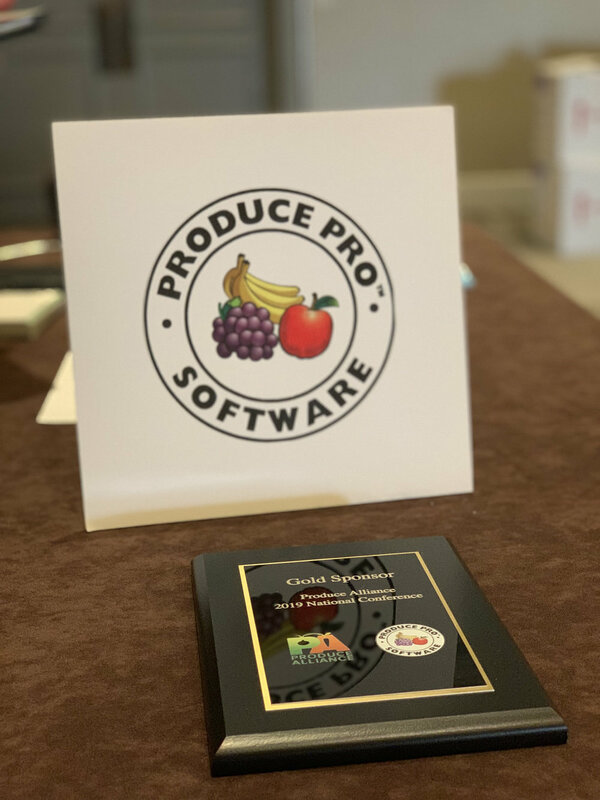 From Title & Platinum Roundtables and a Gold Sponsor Vendor Expo to boutique style Breakout Sessions and an insightful Romaine Panel (special to this year), the Produce Alliance National Conference is truly a time for growth, learning, and of course, collaboration! The week's activities officially began on Monday, March 18th as the Produce Alliance Executive Committee met to discuss progress, adaptive strategies, and vital opportunities within the industry as well as congratulated Billy Itule of Willie Itule Produce & Scott Danner of Premier Produce on their new seats at the PA EC table. 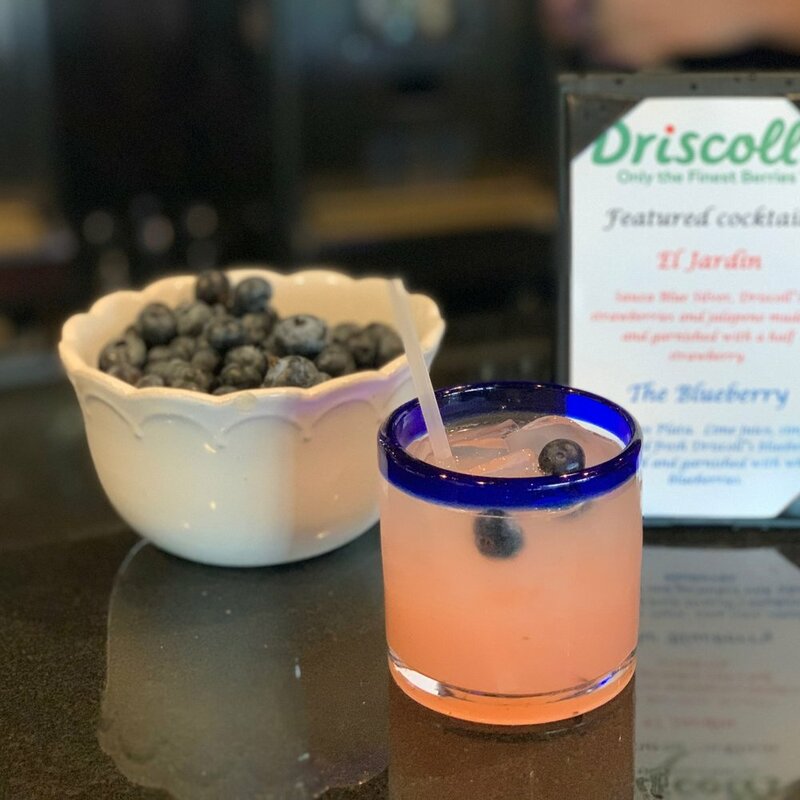 We ended the night with an inviting Welcome Dinner at Iron Cactus Restaurant in Downtown Austin, TX featuring a signature cocktails from this year’s Title Sponsor, Driscoll’s Berries! On Tuesday, March 19th, CEO George Melshenker kicked off the general session by speaking about the word “changing” and the overall growth and change of Produce Alliance over the past few years, as well as a great emphasis on labor, and understanding our competitive edge as a united front within the industry. 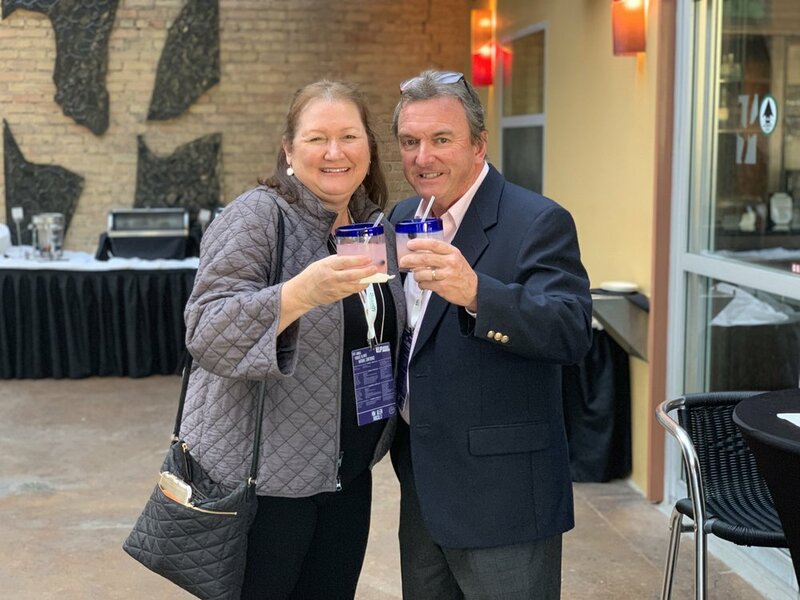 Joe Collier, EVP of Distribution and Business Development, has decided to make the move he so much deserves and is retiring and calling it his move to enjoy life without the pressures and stress the rest of us look forward to in the coming years. We wish Joe the best of luck in his golfing and fishing endeavors, and will surely miss him! George also announced that effective immediately, Melissa Ackerman will lead the PA team as the new President. Melissa Melshenker Ackerman, President, then took the podium and shared with the group her extreme gratitude and appreciation for the support she has received over the past 6.5 years of wearing different hats at PA. Melissa looks forward to growing her team, and is proud, humbled, and excited to wear the hat of president. 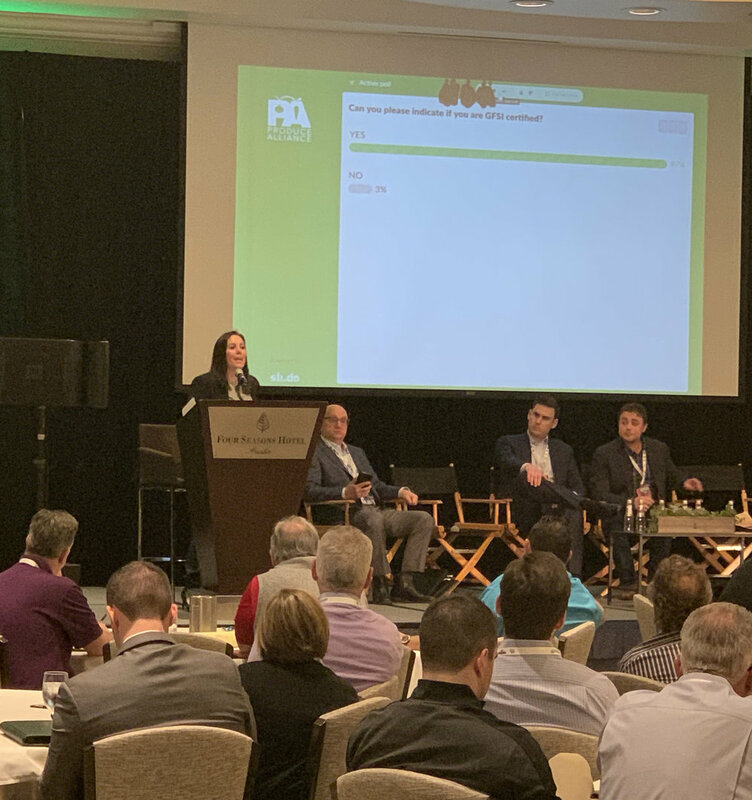 David Kraus, SVP of Custom Distribution, and Tyler Deutsch SVP of Business Development, spoke about the Produce Alliance business development strategy and goals for the future. Arthur P. Liang, MD MPH is currently the Senior Advisor for Food Safety, Division of Foodborne Waterborne & Environmental Diseases, and CDC. He is the former Director of the CDC Food Safety Office. Ed Treacy, VP Supply Chain and Sustainability at PMA has more than 35 years of senior management experience in logistics and supply chain management, and the last 8 years he has been PMA’s expert in developing supply chain practices to lead the produce and floral industries forward. In late 2018, Treacy added sustainability to his PMA responsibilities. 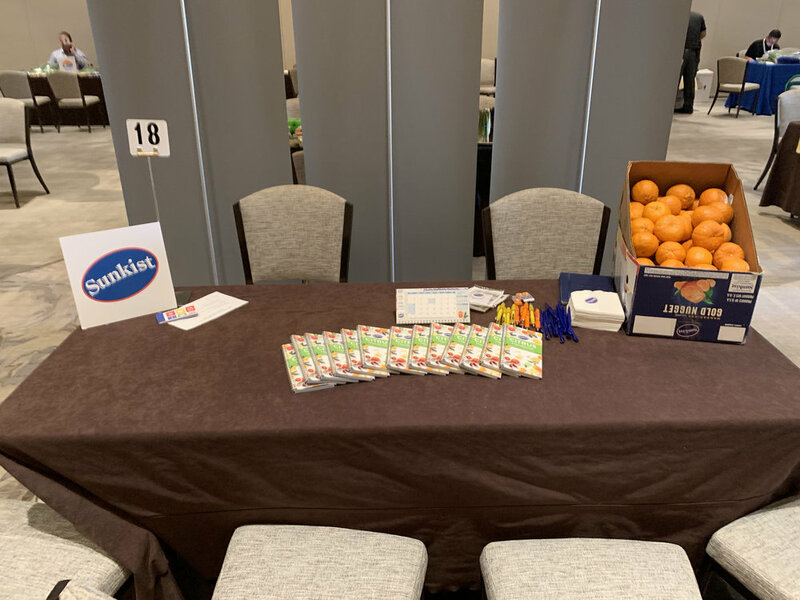 Miriam Wolk, CAE, VP Member Services at United Fresh joined the United Fresh Produce Association as Director of Membership in July 2008 and was promoted to Senior Director of Membership in August 2010 and to Vice President of Membership and Marketing in January 2013. In October 2014, she transitioned to her current role of Vice President of Member Services. Her responsibilities include managing United Fresh's membership recruitment, retention and engagement activities, volunteer leadership, awards programs and association publications and resources. Tom LaGrassois the Chief Operating Officer for LaGrasso Bros.
Ted Keanyis the Vice President of Sales for Keany Produce and Gourmet based out of Landover, Maryland. Barbara Hulick, Senior Director of Food Safety, Produce Alliance is an industry leader in the rapidly developing Food Safety Management arena. Her expertise in developing and implementing HAACP plans, Food Safety Modernization Act and the ongoing rollout of its related regulations, Quality Assurance all factor into her leading Produce Alliance in providing unparalleled expertise to their members and customers. Rob Feldgreber, CFO, Produce Alliance joined Produce Alliance 23 years ago in January of 1996 as our Chief Financial Officer and General Counsel. Please watch the following Romaine Advisory panel, and series of questions, live from the conference, below. 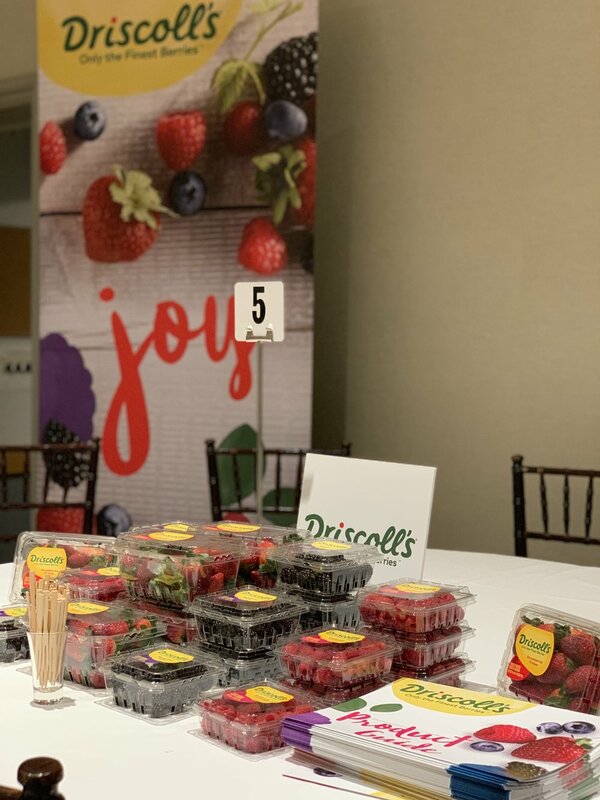 After the General Session took place, the Title & Platinum Roundtables were in full swing with this year’s Title sponsor featuring Driscoll’s Berries! 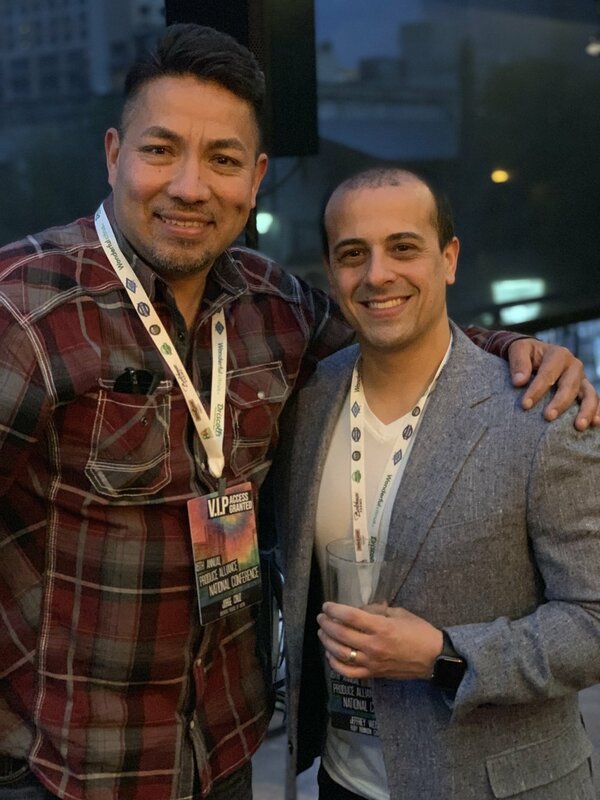 Then we took a small drive, party bus style, to a true southern BBQ spot at Stubb’s BBQ where we had some sweet and savory eats, good drinks, great entertainment with a live band, and the highlight of the night a LIVE pop-art painting in the background. 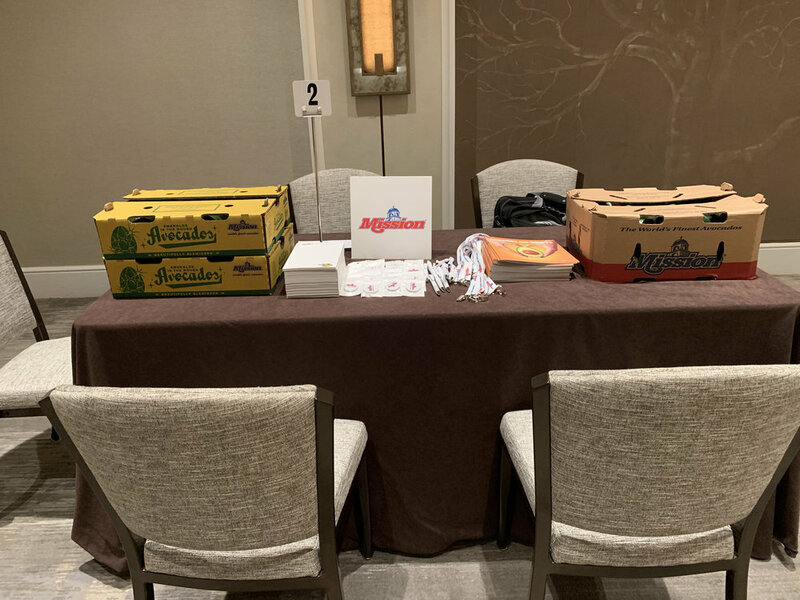 This year (Wednesday, March, 20th) we added a different spin to the traditional roundtable setting and mixed it up with our Gold Sponsor Vendor Expo! Later that evening we celebrated an amazing National Conference with our Third Annual Jerry Ambrogi Charity Event! 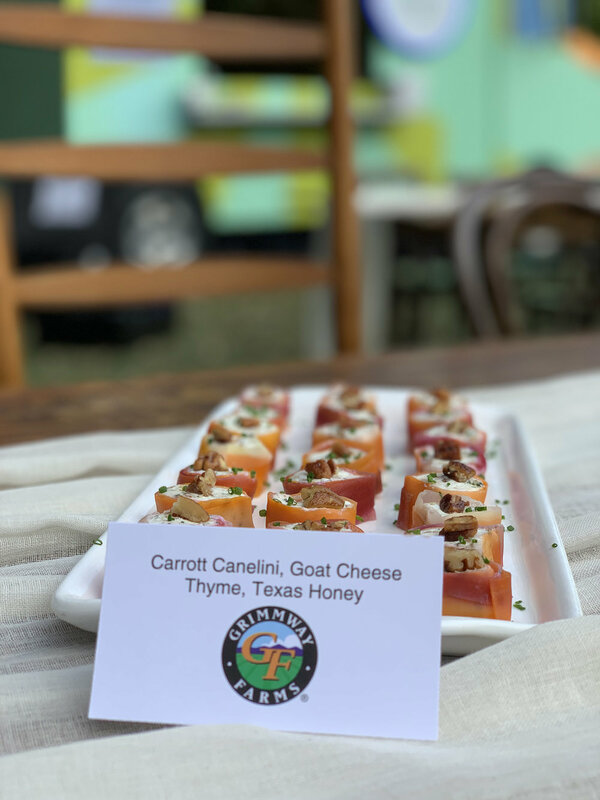 This year it was on the lawn of the Four Seasons Austin with a more casual setting, passed eats brought to you by our Title & Platinum sponsors, sweet hanging treats, and food trucks! We networked, ate amazing food, played bags, outdoor Jenga and more. This year was the second year we celebrated Jason Erenwert’s life by raising donations in the form of a Beer/H2O Pong Tournament. The winning team chose to donated their funds, as well as the matched amount by PA, to the charity that was most dear to Jason’s heart, the North Texas Food Bank. We are always honored to create meaningful experiences and memories with our growing PA family. 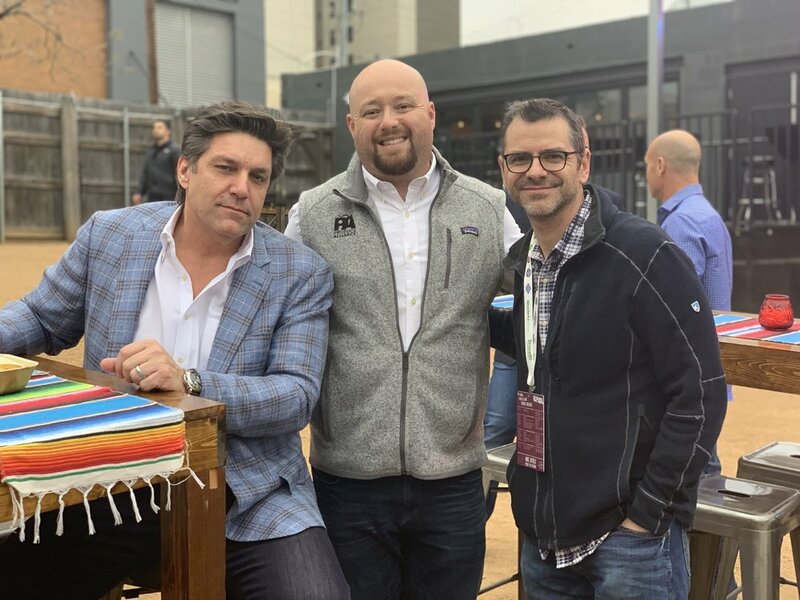 These are the essential opportunities that bring together the industry’s best and brightest, and showcase the hard work and dedication of inspiring foodservice trailblazers. In these settings, new trends arise, connections are formed, and standards are reinvented. PA is more than proud to contribute to that innovation. Thank you again to everyone who helped make this fantastic experience possible. See you next year! Special shout-out and thank you again to this year's Title sponsor Driscoll’s! Apr 12 Summer calls for Kale!